Rana Daggubati recently made his debut on the small screen hosting a talk show which is turning out to be quite a successful one. The actor will now be seen in Nene Raju Nene Mantri which is being directed by Teja and has Kajal Aggarwal playing the female lead role. And to add to all the great things happening in his career, Rana Daggubati will not make his debut on the international arena in a film. According to latest reports, Rana Daggubati is all set to make his debut in international cinema in a film that will be produced by a leading studio – The London Digital Movie & TV Studios. More details of the project and the rest of the cast are yet to be revealed by the actor. And besides making his debut with this, Rana also has been chosen as the Asian Brand Ambassador of the London based studio. According to leading daily, Executive Producer Bharathi Kommana confirmed the same and has said that the project will kick off in 2018. Bharathi also said that more details about the project will be revealed soon making it official. 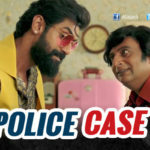 Rana Daggubati is one of the few actors who always looks to experiment with his films and tries to be a part of good content. 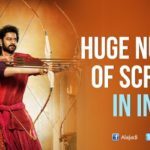 With the humongous success of Baahubali, Rana Daggubati has become more popular than earlier and has now caught the attention of international filmmakers. The project will ick of in 2018 and more details are expected to be revealed soon by the makers of the film. Rana’s upcoming film Nene Raju Nene Mantri will hit screens on August 11th, 2017 worldwide.